National beans & franks day! Step it up a notch and add some awesome DoubleKick Caffeinated Hot Sauce Spicy Chili Condiment w/ Caffeine to your dogs or beans! Mix it with ketchup and it is a perfect compliment to both! GIVE YOUR MEAL A DOUBLEKICK! 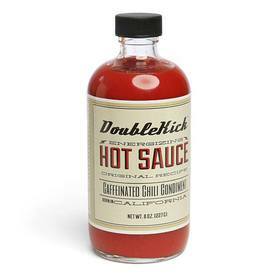 DoubleKick, the all-natural, energizing hot sauce is here! Say goodbye to food coma. Put it on all your favorite foods for a spicy pick-me-up.